The paper focuses on an important, yet understudied problem of ecological consciousness and ecological awareness of students in the learning process, which is open for debate. The paper proves the urgency and the need to address environmental problems in the Russian Federation. One of the ways to deal with the problem is a high level of environmental awareness and consciousness of the population. The paper defines the purpose of the research and refers to a number of authors, whose works are devoted to the maintenance and environmental education. The paper emphasizes the relationship of environmental awareness and environmental responsibility and gives the three stages of the environmental liability. The author identifies specific pedagogical conditions of the environmental culture and environmental awareness of students in the learning process. Keywords: ecological culture, environmental awareness, environmental management, environmental responsibility. Boreyko V.E., Pominova E.V. Foreign philosophers wildlife. – K.: Kiev Ecological and Cultural Center, 2000. – 143 p.
Boreyko V.E. Breakthrough in environmental ethics. – Kiev, 2001. Glazachev S.N. Environmental Pedagogy and ecological psychology. – Moscow, 1996. Glazachev S.N. 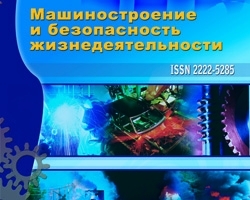 Environmental culture, education and civilization choice Russia // Science and the school, 1997, № 3. – P. 4-11. Deryabo S.D., Yasvin V.A. Environmental pedagogy and psychology. – Rostov-on-Don, 1996. №2 (16) 2013, Pedagogical framework of the environmental culture and environmental awareness of students in environmental education, Safonova T.N.